Loud music, monster-sized video screens, all in multiple locations, with a single highly-visible teaching pastor. Is this the future of church? What will tomorrow’s evangelical church look like? Every now and then, I like to sneak off on a Sunday and check out what other churches are doing. One of the fastest growing movements in America currently is the multi-site church phenomenon. Within the past year, two new multi-site churches have entered our local community, and people are coming out of the woodwork to attend. So I had to find out for myself what the fuss was all about. American culture is changing rapidly as the traditional Protestant Christian consensus is breaking down. How do churches compete with all of the very exciting things to do on a Sunday morning aside from church? As the culture gets more atomized, evangelical churches have found it challenging to know how to reach out to an increasingly disaffected and distracted population. First, you might receive a flyer in the mail advertising the church service, encouraging you to visit the flashy church website, all oriented towards social networking and video. You find where the church meets and drive there on a Sunday morning. Chances are, you might be greeted by a team of parking attendants, all smiling and directing you to where to park as you pass large banners announcing the name of the church, fluttering in the wind. You walk into the meeting place, and you are greeted by perhaps a dozen or more different volunteers, wishing you a great day, many of them wearing the same colored T-shirt. The day when I visited, a volunteer noticed easily that I was new, as I was one of the very few who walked in wearing a coat and tie and a Bible under my arm. 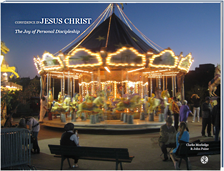 I am given a packet of information, a cool looking DVD and perhaps even a book written by the multi-site senior pastor. I passed on the free Starbucks coffee and pastries and headed into the meeting auditorium. I was overwhelmed with visual and aural stimuli. Large video screens dominated the front of the auditorium, with large speakers blaring out rock music. Banners announcing the sermon theme were strung across the stage. As a musician, I took note of the band’s gear. Every guitarist had a large, pedal board worth well over a $1000, and the bass drum had a monogram symbol of the name of the church. The local campus pastor wearing jeans and his shirt-tail hanging out was speaking up front, wirelessly connected to a headset, under the glare of the state-of-the-art lighting system, welcoming everyone into the worship room. A countdown soon started on the screens, as the multi-site organization sought to synchronize the activity on all of the several campuses participating in the event. Lights were dimmed as a brief dramatic video featuring the main pastor fixed your attention, suggesting the theme for today’s message. Then the band came out. The smoke machine was fired up. The laser display began…. and the music was LOUD. Is that the Shekinah Glory? No, it is just the worship band’s smoke machine on autopilot during the altar call. How Was Your Church “Experience” This Past Sunday? The Sunday I went, the introductory songs were snippets of old rock favorites from Survivor to Queen, followed by contemporary worship music from places like Australia’s Hillsong. Nope, you will not find a traditional choir at this multi-site church, much less any classical music or traditional hymn singing. I kept thinking to myself: is this a church, or is it a rock concert? Or could it be somehow both? After a few songs where you could not hear anyone around you sing because the band was so loud, then, just like clockwork, the video started again with a live shot of the main pastor beginning the sermon in a remote location, presumably via satellite. The pastor was clapping and really excited to see everyone. I am not sure how he knew I was there in some remote place, but I will give him the benefit of the doubt. The pastor’s message was theme-based. The sermon series over several weeks was designed to convey a particular set of ideas, drawing on relevant passages from the Bible to make a point. I was impressed that the content was relatively orthodox, from what I can tell, but if you were looking for verse-by-verse exposition of the Scriptures, you would not find it here. Eventually, the sermon came to an end and the local campus pastor stepped up to the stage as the roving cameras snagged more video of him as well as shots of the band playing a final song. Camera angles phased in and out on the large screens, just like you would find on a live television concert event. Even the local campus pastor sounded really excited that I was there, urging newcomers to fill out a card to hand in and receive a free gift at the newcomers station. No opportunity for “passing the plate” was given for an offering, except some brief, discrete mention on giving any gifts to the church at the back of the meeting room on the way out. Some brief information was given about other ministries such as to the youth in the church and small group Bible studies, and then we were dismissed. My ears were slightly ringing after all of that. This particular church had only been around for less that two months, but the place was packed with people. I glanced around trying to calculate how many thousands of dollars were spent on the sound system, stage facades, camera and lighting systems.The volunteers were indeed friendly, as well as the people sitting next to me. But just like after a rock concert, people mostly chatted with whom they came to church with as they made their way out of the building. That was pretty much it. No traditional liturgy. No opportunity to recite the Nicene Creed, Apostle’s Creed, or any other orthodox church creed. No elder led time of extended prayer. No missionary family stepped forward to share about how that church was supporting the efforts to share the Gospel in some distant land. No one led the gathered community to come before the throne of God with a word of public confession of sin. No moment to stand to honor the reading of God’s Word in preparation to receive the message. With the complete and continuous barrage of technology, there was no opportunity given simply to be silent before the God to be worshipped. Is the Multi-Site Movement Biblical? Several times during the service, the upfront message was a sincere greeting that I might enjoy my church “experience”. Granted, going to a multi-site church is truly an impressive experience. What these churches have managed to do is to market the message of the Gospel to a consumer-oriented culture that feasts on non-stop video images on television and the fast-paced virtual interactions of the Internet world. As one multi-site church puts it, they only try to do a few things, but in doing those few things they seek to do them very well. Does it sound like I am knocking the multi-site movement? Isaac Watts was heavily criticized in the early 18th century when he began to write lyrics for hymns using familiar folk melodies. Watts, who wrote classics like “When I Survey the Wondrous Cross”, shocked his Puritan church culture that only sang music drawn from the Book of Psalms in the Old Testament. Before that, the early and medieval church produced elaborate iconography and visual art as aids to worship and for educating the biblically illiterate, even though the theological tradition of Christianity forbade the worship of graven images as prohibited by the Second Commandment. So it could be argued that the marketing approach of the multi-site movement is simply following the lead of 18th century hymn writers and medieval iconographers who sought to make the Christian message more accessible to the disconnected masses. The seeker-sensitive, multi-site approach is intentionally a well-crafted attempt to “become all things to all people,” as the Apostle Paul describes his own calling in 1 Corinthians 9:19-23. Fair enough. This is a stiff challenge to an older generation that decries post-modernity’s addiction to visual media. Much of the older evangelical movement has ironically forgotten its calling to go and reach out to our neighbors with the Gospel. In our national surveys we found the three most common perceptions of present-day Christianity are anti-homosexual (an image held by 91 percent of young outsiders), judgmental (87 percent), and hypocritical (85 percent). These “big three” are followed by a majority of young adults: old-fashioned, too involved in politics, out of the touch with reality, insensitive to others, boring, not accepting of other faiths, and confusing. When they think of the Christian faith, these are the images that come to mind. This is what a new generation really thinks about Christianity (page 27). Whether you embrace the multi-site approach or not, the challenges to reach our culture with the Gospel are great. 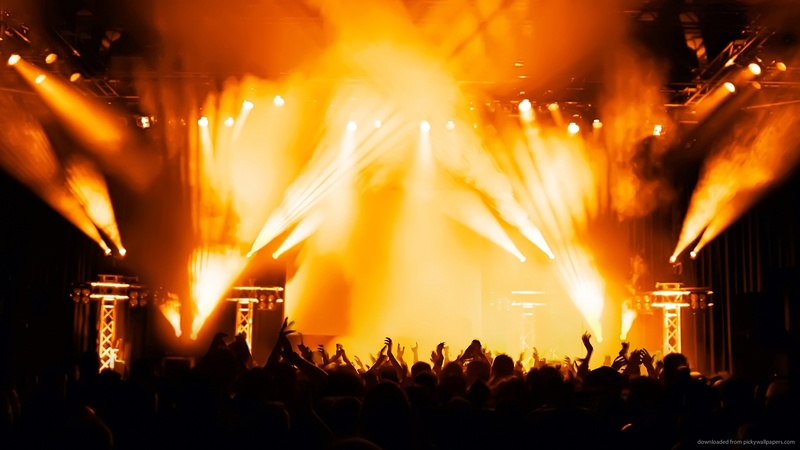 However, my concern is over what has happened to all of the theological riches of the things that have been left out of the multi-site worship experience in an effort to make the message more within reach of those contemporary masses. In being technologically hip and relevant, apart from an appeal directly to the Bible thematically presented, the multi-site movement looks to have disconnected itself from the depth and story of God’s intervention throughout history. You can leave your Bible at home because the Scripture text is always up on the screen. Everything is new. Is it no wonder that so many young people who grow up in these newer forms of Christianity leave contemporary evangelicalism behind in search of more liturgically-oriented, “smells and bells” traditions, including Anglicanism, Roman Catholicism, and Eastern Orthodoxy? When I was a high school kid, the invitation to come to an evangelistic meeting sponsored by a para-church ministry found favor with me when I was told was that there were pretty girls there. Yes, there were pretty girls, but the thing that impressed me was that there was a whole lot more going on than pretty girls in how this outreach ministry presented the Christian faith. Having innovative outreaches outside of corporate Sunday worship is a welcome way to reach otherwise disinterested young people like me, but making this style of ministry the central expression of Christian worship on the Lord’s Day leaves me more than a little conflicted. Even though I am a rocker-type of guy, and I personally introduced electronic guitars at my church back in the 1990s, I find it somehow incongruent with the purpose of worship to feel like I have to wear ear plugs to church on a Sunday morning. The Hunger for Experience: The Hunger for Jesus? In days past, what typically distinguished churches was either some doctrinal difference or a cultural variation, such as language or ethnicity. But in the multi-site milieu, what we are given is a brand. We have McDonalds for hamburgers and critics note that we now we have “McChurch” for evangelical Christianity. Some say that the biblical depiction of a local congregation has been replaced by a franchise business model using the latest demographic research and marketing methods. Defenders of the multi-site approach say that Christians need to completely rethink how they do church in order to reach a lost generation that is alienated by traditional expressions of church. Is the importance of Biblical doctrine and the depth of Christian spirituality taking a backseat in favor of raw, sensory experience in the name of evangelism? Is this God’s way of reaching people or is it taking a “man-centered” approach to doing church? While I am glad that these multi-site communities are reaching people for Jesus, I am troubled as to what happens when people get bored of the brand. Will they tap into the richer history and liturgical depth of the life of God’s universal church, or will they simply move onto the next, newer popular brand, whether it be Christian or not? It is one thing to capture people’s attention. It is another thing to make fully mature disciples of Jesus. I am sure that the leaders behind the multi-site movement think about these things. But as to how successful they are in building spiritual depth in their communities is something that causes me to pause and wonder. This does not necessarily mean that we should discard everything in what is in these new churches. Some say that the multi-site movement is really just a modernized approach to church planting. A number of more traditionally-minded “mega churches” are using the multi-site model solely for that purpose. The Apostle Paul probably could have saved on the cost of sandals if he had a satellite network connecting the churches of Galatia, Philippi, and Thessaloniki. But even in these more modest approaches to doing the multi-site strategy, is it really the best thing in terms of what it does to the leadership? It can be a really heavy trip as a pastor to realize that you have potentially thousands of people spread across different locations all hanging on every word you say. Does that mess with a pastor’s head? Furthermore, what would happen if that lead pastor gets hit by a bus? Do you just sell off the state-of-the-art lighting system and the monogrammed drum set, drink the leftover Starbucks coffee, and start over with something else? Granted, not every multi-site community is the same. Some are better than others. A number of them simply capitalize on the successful teaching ministry of a particular pastor, lacking the pizazz of the more seeker-friendly brands. I mean, the smoke machine thing probably is a little much even for your average multi-site assembly. However, it does mean that it will become increasingly difficult for those churches that emphasize a more (rightly, in my view) balanced and blended approach to communal worship to avoid being pulled towards the divergent extremes of the rigid models of worship of the past and the new and technologically glitzy models of the multi-site marketing experience indicative of the future. For a favorable review of the multi-site church phenomenon, read Ed Stetzer’s opinions. For a collection of essays regarding multi-site churches from different perspectives, the Gospel Coalition offers a good place to start. In the Williamsburg, Virginia area, I was able to count a total of three multi-site churches that I could identify. None of them will tell you their denominational label unless you ask, and even then the label is way down there in very small print. It is not about the denomination, it is about the experience and the message, but nevertheless, I find it very interesting to explore the roots of each community: Waters Edge Church has been operating in the Peninsula area since about 2003, with what I think are Southern Baptist roots. Upward Church has been around the Norfolk area mostly for at least 5 years, focusing mainly on ministry to the military, which explains why they have a campus in Pensacola, Florida. But I am not sure how they got a campus in Hartwell, Georgia. 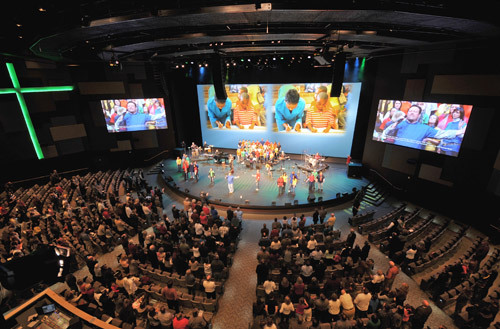 Upward Church has a fairly low-key charismatic background, with connections with Regent University in Virginia Beach. Finally, we have CrossWalk Community Church, operating since 2001 with only local campuses in Williamsburg, Norge, and West Point, and having roots in the Assemblies of God tradition. Each church is different, but they all follow the basic multi-site model of multiple locations with a single, senior pastor. This entry was posted on Thursday, April 24th, 2014 at 6:37 pm	and tagged with ecclesiology, Gospel Coalition, iconography, Isaac Watts, missiology, multi-site church and posted in Topics. You can follow any responses to this entry through the RSS 2.0 feed. As I was thinking about the time in high school when I was first invited to a club meeting where the “pretty girls” were at, I do recall it was over in your living room! Things have changed quite a bit since then. When you peel away the smoke and mirrors what’s left? Done poorly the McChurch approach seems like an attempt to make religion into a stage show. Done well (e.g. Northpoint in Atlanta), it can really impact lives. Personally, I long for the type of church we have–where people take Jesus Christ and their faith seriously, and engage each other in edifying dialog. It’s not so much about the pulpit and the stage as it is about personal discipleship. As iron sharpens iron… and all that. Thanks! Thank you Clark, I appreciate very much your focus, a few Truths you shared really impacted me…… In our national surveys we found the three most common perceptions of present-day Christianity are anti-homosexual (an image held by 91 percent of young outsiders), judgmental (87 percent), and hypocritical (85 percent). Praise The Lord! we are are right on Target, Jesus tells us we will not win the popularity stakes, yes people will not like hearing the Truth, they have itching ears and yes they will also judge us unfavorably when we don’t agree with their fleshy agenda, even those in the Church, who sin and tell us it is OK because they are forgiven even if they don’t show it. I went to one of the Disco churches , sorry but that is how I felt, flashing lights, beating drums, jumping and shouting, young woman in low cut and very short mini skirts, dancing and singing on stage, with long haired, jean clad swinging young men performing almost aerobics with their impressive instruments, swinging them high and low and around. I sat feeling lost in lar lar land, but the young were rejoicing or so it seemed, some were on their mobiles, some were walking in and out, some were taking to each other, yes there were others my age and they looked just as lost. As you said Clark, there were no times of deep worship or times of reverence. Yes I do sometimes raise my hands and even cry with Joy when I sing. I have been known to dance too but I haven’t lost it, just a sway back and forth but at one Church I was told I was not allowed to raise my hands and also that it was not necessary to talk about Jesus, it just made others feel uncomfortable. I noticed in some Churches they had very few young people and in some very few elderly, in the Church I was going to, the elderly had mostly left when the new Minister had deleted all the hymns, I asked a few how they felt and they said not wanted, they also had not been visited. I shared this with the Minister, he said they were just being selfish and had to get with it! He has set down guidelines for us to follow as we sing so that we can Worship in Unity, it does indeed cover all age groups, there is a balance. We all remember songs that touched our heart and love the new ones that do this too. As I watch the Joy on the faces of the Elderly as they sing their much Loved Hymns and when I sing the songs I first sang in Unity in the Church (Scripture in song ) I’m flooded with wonderful memories and yes as I watch the younger people sing their songs with great expression and happiness, I rejoice and feel thankfulness as I see God’s wisdom in giving these guidelines but we always remember it is about Him not us. Colossians 3:15-17 And let the peace of God rule in your hearts, to the which also ye are called in one body; and be ye thankful. Let the word of Christ dwell in you richly in all wisdom; teaching and admonishing one another in Psalms and Hymns and Spiritual songs, singing with grace in your hearts to the Lord. And whatsoever ye do in word or deed, do all in the name of the Lord Jesus, giving thanks to God and the Father by Him. Did you see the article in daily press regarding this pastor ? There is something you touched on about the screens where so many are hanging onto his very word. There is definitely a business side to it all unfortunately. I wrote to this church after the article went out, if your interested I could forward some if the correspondence. I just had honest questions about if there was more to what the daily press presented. Such as what is their mission and purpose for existing. It was a while ago or I would recount more of their answers. Mainly it was to present church as fun and get the unchurched to church. We had a few email correspondence Emails never made it to pastor, only to their top manager like position. I wish I could tell you her correct title. I too am fearful ( not sure of word you used) of what happens when brand wears off. I also fear that the ones who are first exposed to worship this way , will not see real life Christianity and be turned off to the church , Gods people. A lot of damage can be done and I have seen damage done by this also. A person caught up in the hype but when baptized , a lot of confusion and ultimately negative toward Christianity. I did see an article from a few years ago, so perhaps it is the same one. If so, I would say this particular model of doing multi-site ministry is heavy on the evangelistic outreach. It is difficult to make any fair judgment just on visiting one service, but my concern would be that while they may in fact draw a lot of folks in, I really wonder how deep the discipleship really goes. Yes that was my reason for writing to them also. I had the same concern.